Getting to Italy is going to require a bit of planning, but it’s well worth it in the end. 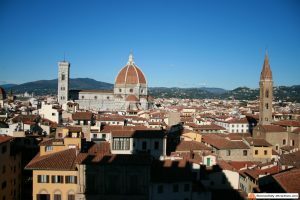 We’re going to talk about the different ways you can travel to Florence Italy in this article, as well as how much you can expect to pay (among many other things associated with the traveling process). Florence is rich when it comes to the culture you’re going to experience, but the dimensions of the region are relatively small. If you want to travel around Florence there are plenty of trains and buses to make use of, but getting into the country itself is something you’ve got to worry about beforehand. The city itself is resting at the base of the Apennine Mountains, it’s a valley that is enriched with tons of different activities to keep you entertained. Reaching the city is a process that depends on your location, if you’re all the way across the world, it’s going to take a little more time (and money). Be realistic with your travel goals, you’re probably not going to catch a bus from the United States to Italy anytime soon; we can always dream, though! Whether flying or going by sea, reaching Florence is going to take a little bit of innovative thinking. If you’re not located in Europe, you’re going to have to fly your way to Italy (or take a boat, but flying is the most preferred method around). There are three major airports that serve Florence, so you could find yourself landed at either one of them; the “Amerigo Vespucci” is only 5km from the city center. It’s the airport that connects all of Italy’s major cities, and it even connects people to an abundance of other European destinations. The “Galileo Galilei” is in Pisa, but is still capable of servicing people who want to travel to Florence. It’s considered a place where all of the “cheap” flights land, but there’s a shuttle that can take you to the center of Florence within 70 minutes. This airport has the advantage of having flights to the USA. The third and final airport would be Bologna, which is only about an hours worth of driving away from Florence (bus + train). Some of the lesser airline will tell you you’re flying to Bologna, but take you to Forli; there’s a major difference, so don’t make this mistake. There are train stations located all over Florence, and they can take you wherever you need to go. If you feel like you’re up to driving, you could easily rent a vehicle and just drive yourself around the city, but I don’t suggest you do this. Florence is a Medieval city with many narrow streets, and the city center is closed to private traffic. 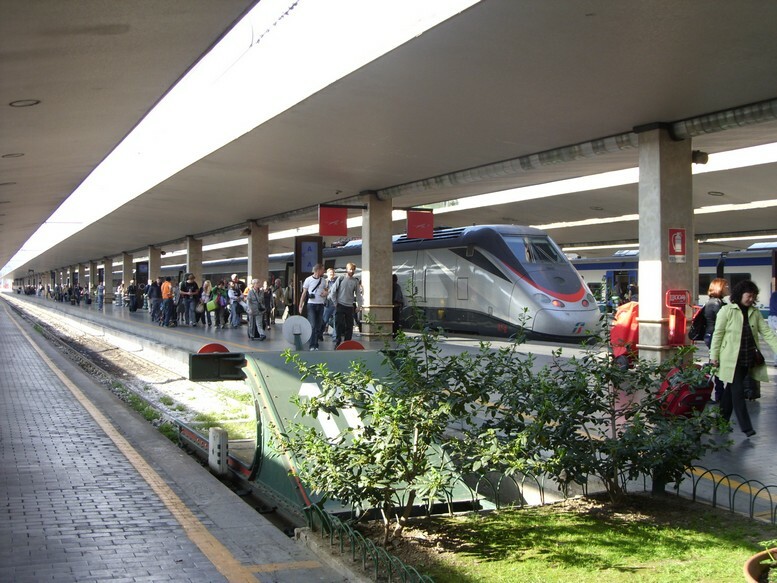 The central train station is called “Santa Maria Novella”, and fast trains connect Florence with cities like Milan, Venice, Rome and Naples. 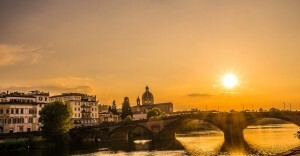 Travel to Florence Italy by train is your best choice if you’re taking a tour of Italy and land in one of these cities. It will allow you to see the entirety of Italy with ease, unless you just want to focus on Florence (and nothing else). You could even buy e-tickets beforehand, which will allow you to skip any lines that might pop up when in comes to buying tickets.